Gregory John Norman is a successful Australian professional golfer and entrepreneur. This biography provides detailed information about his childhood, life, Golf career, achievements and timeline. Gregory John Norman is a successful Australian professional golfer and entrepreneur. Albeit a late entry into the sport, he has won over 85 international tournaments including two ‘The Open Championship’. He has an outstanding record of holding the numero uno position in the ‘Official World Golf Ranking’ for a consecutive period of 331 weeks. His vigorous golfing style, physical built, blond hair added with the local coastal animal of his birthplace, the shark, earned him the epithet, ‘The Great White Shark’. He is an equally prolific world-class entrepreneur known for his high spirit and vigour in the boardroom as his expertise in golf. His business venture ‘Great White Shark Enterprises’, a multinational corporation with diversified portfolio consists of around twenty different businesses including event management, golf course design and consumer products among others. At present he is the Chairman and CEO of the multinational corporation. In 2001, he was enlisted in the ‘World Golf Hall of Fame’. He served as Captain of the ‘International Team’ at the ‘Presidents Cup’ twice in 2009 and 2011. 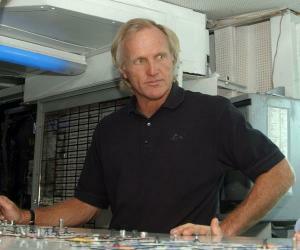 He was born on February 10, 1955, in Mount Isa in Queensland, Australia to Merv Norman and Toini Norman. His father was an electrical engineer. In 1964 he got enrolled in the ‘Townsville Grammar School’ in the north-eastern coastal city of Townsville in Queensland. Later he attended the ‘Aspley State High School’ situated on the north side of Brisbane. He used to play cricket, Australian Rules football and rugby in his early youth. His mother Toini was a fine golfer and Greg often served her as a caddy. This is how his interest in golf developed and when he was around 15, he started playing the sport. He is naturally a left-hander, but plays golf with right hand. In around 18 months time he was playing to a scratch handicap from a 27 handicap. In around 1975, he began working under Australian golf coach Billy McWilliam as assistant professional at Sydney’s ‘Beverley Park Golf Club’. He began his professional career as a trainee under world famous golf coach Charlie Earp in the ‘Royal Queensland Golf Club’ pro shop with weekly earnings of A$38. His brilliant performance soon made him apt as a tournament player and his first win came in 1976 at the ‘West Lakes Classic’ golf tournament, held at Adelaide’s ‘The Grange Golf Club’. On June 11, 1977 he won at the ‘Martini International’, a men’s professional golf tournament held at ‘Blairgowrie Club’ in Scotland, marking his first victory in an European event. He won two other ‘Martini International’ golf tournaments, on May 28, 1979 and May 17, 1981. His winning spree continued in 1980 with tournaments like the ‘French Open’, the ‘Australian Open’, the ‘Suntory World Match Play Championship’ and the ‘Scandinavian Enterprise Open’. 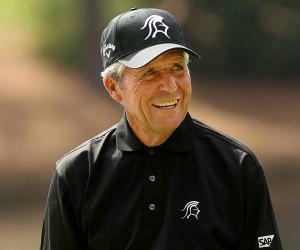 He advanced his career with several other wins and emerged in the 1982 ‘European Tour’ as the leading money winner. Though he made his first US ‘PGA Tour’ in 1983, his first win came with the ‘Kemper Open’ in June 1984. Thereafter he faced many narrow defeats in prominent championships that year and his second win of the year came with the ‘Canadian Open’ in July. 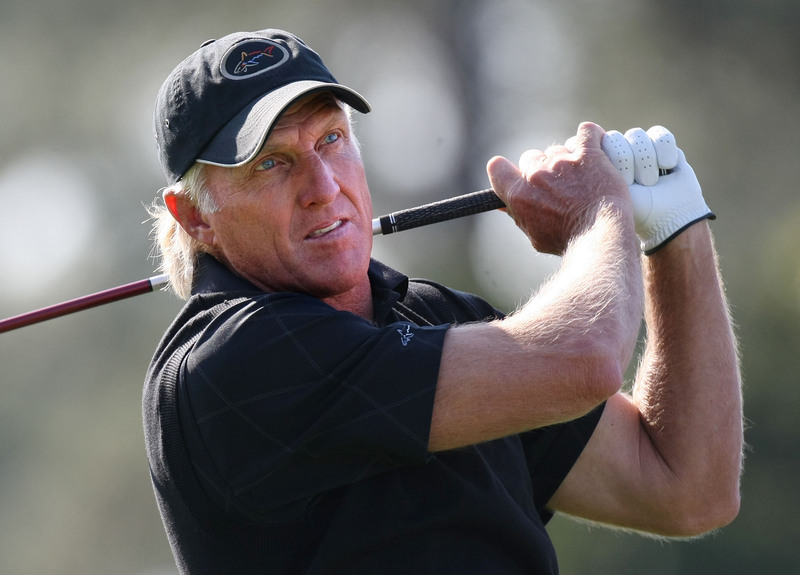 In 1986, he won the ‘Kemper Open’ and the ‘Panasonic Las Vegas Invitational’ among the ‘PGA Tour’ events. The same year he recorded four wins in Australian tournaments that placed him for the fifth time at the top of the ‘Australian Order of Merit’. In total he won the ‘Australian Order of Merit’ six times in 1978, 1980, 1983, 1984, 1986, and 1988. He is best remembered for the ‘Norman Slam’ in 1986. 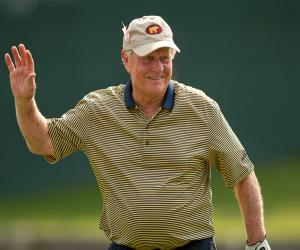 That year he held lead positions of all the four men's major golf championships - the ‘Masters Tournament’, the ‘U.S. Open’, ‘The Open Championship’ and the ‘PGA Championship’ playing in the final group of each. Albeit getting a chance of creating history by winning the single season ‘Grand Slam’, Norman could only win ‘The Open Championship’ held at Turnberry. His other ‘European Tour’ wins include the ‘Dunlop Masters’ that he won twice on May 31, 1981 and on June 13, 1982; the ‘Paco Rabanne Open de France’ on May 11, 1980; the ‘Scandinavian Enterprise Open’ on July 6, 1980; the ‘Panasonic European Open’ on September 14, 1986 and the ‘Lancia Italian Open’ on May 22, 1988 among others. Norman earned two ‘Japan Golf Tour’ wins, ‘The Crowns’ in 1989 and the ‘Sumitomo VISA Taiheiyo Masters’ in 1993. As his career did not advance much, rather saw a downfall in the early 1990s, he turned to former American golf player and famous golf instructor Butch Harmon for help. It helped him correct some problems that had crept into his swing. In 1993 he won his second ‘The Open Championship’ held at the ‘Royal St George's Golf Club’ in Sandwich, Kent, England. He received his largest winning check till date, amounting to one million dollars after winning the ‘Andersen Consulting World Championship of Golf’ in January 1997. His other ‘PGA Tour’ wins include ‘The Players Championship’ (March 27, 1994); the ‘Canon Greater Hartford Open’ (June 25, 1995); the ‘Doral-Ryder Open’ (March 3, 1996); the ‘FedEx St. Jude Classic’ (June 29, 1997) and the ‘NEC World Series of Golf’ (August 24, 1997). He won the ‘Vardon Trophy’ in 1989, 1990 and 1994. The 1998 ‘Presidents Cup’ saw Norman and Tiger Woods play an exciting match, with Tiger Woods finally winning with 1-up at Australia’s ‘Royal Melbourne Golf Club’. Though the match hardly effected the final result that saw the ‘International Team’ win over the ‘U.S. Team’, the golf enthusiasts saw a one-on-one match between the former and current number one players of the world. Till date it remains the sole win of the ‘International Team’ in ‘President Cup’ matches. His remarkable performance in the ‘Skins Game’ in 2001 saw him defeating Tiger Woods, Jesper Parnevik and Colin Montgomerie. He also received the entire prize money of one million dollars. In 2006 he published his autobiography, ‘The Way of the Shark’. He remained a co-commentator with Joe Buck for the ‘Fox Sports’ coverage of the ‘USGA’ championships that began in 2015. He is a successful entrepreneur with his multi-national corporation ‘Great White Shark Enterprise’s’ diversified business having offices in Sydney and Florida. His company ‘Greg Norman Golf Course Design’, founded in 1987 is considered one of the leading international golf course designers and architects. His other business endeavours under the umbrella of ‘Great White Shark Enterprises’ include ‘Southern Cross Developments International’, ‘Medallist Developments’, ‘GSH Investments’, ‘Greg Norman Estates (wineries), ‘Turf Company’ and ‘Greg Norman Australian Prime’ among others. He married American flight attendant Laura Andrassy on July 1, 1981, but the couple later divorced, which was settled in November 2009. Their two children are Gregory and Morgan Leigh. On June 28, 2008, he married American tennis player Chris Evert, but filed for a divorce on December 8, 2009. He then married Kirsten Kutner, an interior decorator on November 6, 2010. He is engaged with several philanthropic works such as ‘CureSearch National Childhood Cancer Foundation’.